Stains, greyness, yellowing? There’s no reason to panic. 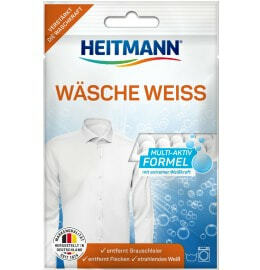 Use HEITMANN to make your clothing spotlessly clean again. We offer a range of helpful products for pretreating your laundry. These include Oxi products as well as stain salt and proven household remedies like gall soap and soda. Return your laundry to its original stain-free brilliance!